Bad Ragaz - After six months on the sidelines, Jakub Blaszczykowski cannot wait to start anew in 2014/15. The 28-year-old Polish international suffered an anterior cruciate ligament tear in his right knee in January this year, but is already plotting an injury-free future for club and country in the season ahead. 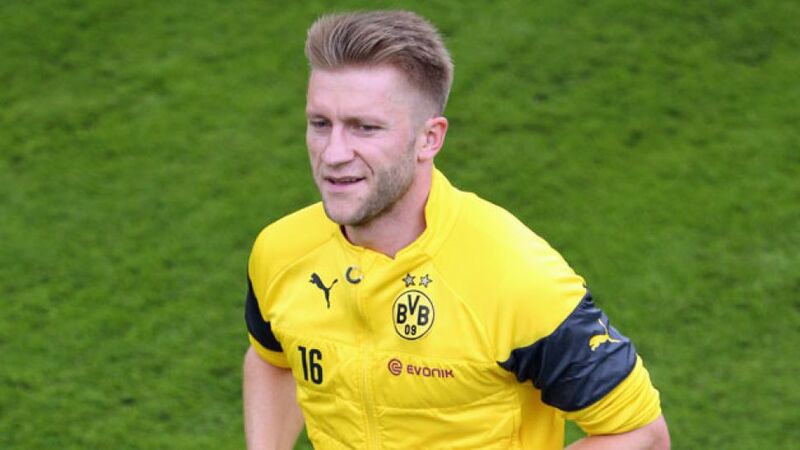 "I've been out for long enough," Kuba told Germany’s largest specialist football magazine, Kicker. "My coordination with the ball at my feet is a lot better than it was two or or three months ago. I'm still not 100 per cent, but I'm getting there and I hope I'll be able to train with the team before long. This week will be key." Blaszczykowski hasn't kicked a ball in competitive action since being stretchered off during the 2-2 draw with FC Augsburg on Matchday 18 of the 2013/14 Bundesliga campaign and while a place in next week's DFL Supercup squad will likely be a bridge too far, the Pole is well on track to being fit in time for the start of the new season. "I feel good," Kuba continued. "Admittedly, I'm not entirely pain-free, but I've noticed in training that it gets better by the day. Anyone who's been out for a long time is going to feel it after running twice a day. It's normal. I'm happy how I've come on and I'm delighted how quickly it's happened for me." When he does make his return, however, it will be as part of a BVB side no longer able to call on the goal-scoring services of Robert Lewandowski. "It's normal for the top players to move on," Blaszczykowski said. "They do what's right for them, but Dortmund live to fight another day. We've brought in some good new players and will do all we can to help integrate them into the team." As well as the fresh-faced trio of Ciro Immobile, Dong-Won Ji and Adrian Ramos, the fit-again Kuba will also find himself playing alongside no less than five members of Germany's 2014 FIFA World Cup winning ensemble in the months ahead: goalkeeper Roman Weidenfeller, centre-back Mats Hummels, new signing Matthias Ginter, left-back Erik Durm and utility man Kevin Großkreutz. "I always said Germany could win it," Blaszczykowski explained. "They play consistently well at major tournaments and were actually the best team. We Poles have never beaten them and it won't be any easier after the World Cup [in the UEFA 2016 European Championships qualifier on 11 October], but I'm looking forward to facing the BVB lads in any case."